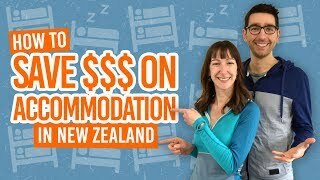 Experience New Zealand like a boss. With magnificent landscapes and rare wildlife, New Zealand is the place for once-in-a-lifetime opportunities. The country is pumped with adrenaline; they’ve made an adventure activity out of everything! You will get closer than ever to the action with wildlife encounters that are both respectful and intimate. You will get to witness the shear size of Mother Nature’s work with splendid natural features easier to access than ever. Plus New Zealand has a few “world’s firsts” up its sleeves to help you gain street cred – like the highest rafted waterfall in the world and the world’s first bungy jump site. Use this list as a bucket list for New Zealand. If you manage tick all these activities off the list, then you have officially bossed New Zealand. For the best ways to book these activities, follow our guide at The Essential Guide to Booking Activities in New Zealand. 1. Hike in the most scenic landscape on Earth! This can be achieved by hiking the 4-day Milford Track, one of New Zealand’s Great Walks. Or one of the (literally) tens of thousands of walks across the country. New Zealand has so many walking tracks that leads to so many wonders that it is impossible to actually count the number walks in the country (even the Department of Conservation who maintain most of the tracks here in New Zealand have been known to say they don’t know!). Check out our Hiking section for some great hikes ideas. Or skydive over, as New Zealanders knows it, Taupo and the Tongariro National Park. There are also a lot of other options to skydive in New Zealand, such as skydiving above a stunning Bay of Islands or jumping from 19,000ft in Franz Josef, the highest skydive option in the Southern Hemisphere, and even more awesome skydives in New Zealand. Or just go ahead and book your jump with Skydive Taupo or Taupo Tandem Skydiving. That wonder is Milford Sound, the crown jewel of the breathtaking Fiordland National park. For those that need an experience that is a bit more comfortable, there are many affordable cruise options departing every hour from the Milford Sound pier. Check out how to make the most of this place in Guide to Milford Sound and the Milford Road. Glacier tours on Franz Josef, Fox Glacier and the Tasman Glacier can take you deep into, above and beneath those ice giants that are now retreating. It is one of the few places on earth where you can witness global warming happening right before your eyes. An eye opener and life-changing experience for many. Go into the dolphins’ natural habitat by swimming with them in Kaikoura, Akaroa or Paihia. Kaikoura is home to dusky dolphins: fast, plentiful and playful, while Akaroa is home to the Hector’s dolphins, the smallest and rarest dolphin in the world (and probably cutest, as well…). Both of the towns are on the east coast of the South Island. Paihia, on the top of the North Island, is home to many pods of bottle-nose dolphins, the big grey dolphins that travel across the globe that can be found in most oceans. The Kawarau Bridge, just outside of Queenstown is the world’s first commercial bungy jumping site. If you want a historical feel to your thrill, that’s the way to go! Since then, many other jumping spots have sprouted all around the country from Taupo to Auckland. Check them out in 7 Epic Places to Bungy Jump in New Zealand. Tutea Falls is the highest commercially-rafted waterfall at 7m. Located near Rotorua, your rafting trip will take you through native bush and forest full of rich Maori history before heading through a narrow gorge leading to that huge drop. Hold on tight! Bare in mind that there are heaps of white water rafting adventure to be had in New Zealand, check them out in 7 Places to go White Water Rafting in New Zealand. The Tongariro Alpine Crossing allows you to walk up Mt Doom a.k.a. Mt Ngauruhoe. More than just a filming location of The Lord Of The Rings the hike to Emerald Lake is an absolute stunner in both summer and winter. Be aware that access in winter is difficult and the track will be covered in thick snow, so consider taking a tour with an experienced guide. For more information, check out Guide to the Tongariro Alpine Crossing. From the waters of Stewart Island, you can have a too-close-for-comfort encounter with great white sharks in cage diving. Those giants and commonly found between Stewart Island and the South Island of New Zealand where it is estimated that over 120 of them are gathering from mid-December to mid-June every year. Black Water Rafting is an epic option to explore the cave networks of Waitomo and the Paparoa National Park. Not only you will get to see the whimsical glowworms shine above you, but you will also be treated to an intense caving experience that you will remember for a very long time! Book your trip with The Legendary Black Water Rafting Co or Waitomo Adventures. Want more epic New Zealand? !